Modern greenhouses project contains the most advanced technology, aimed for keeping the crop in the optimal state along the growing season. Supporting equipment like fans, air circulators, heating system, thermal screen and other technologies for create suitable micro- climate, together with precise irrigation and fertilization, can lead to excellent results. Nevertheless, even the most advanced equipment still demands Professional guiding hand to set the right parameters for growing conditions which will bring to the optimal cost-effective point. Those parameters, which are rapidly changed along the growing season (depended on the plant growing stage and climate changes), and the ability of the grower to understand the demands and implement it (manually or through the control system), is the key of agronomical and economical success of the project. The sharp-sighted can recognize that the aforesaid may provide an answer to a question that preoccupies many investors and decision makers in China: why, despite of the facts that lots of investment spent on inelegance greenhouse projects along the years, the results were often not satisfactory. 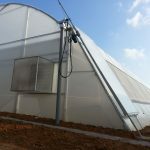 Dr. Yaron Drori, Azrom Chief Agronomist explain:” inelegance greenhouse, equipped with all the state of the art systems, is like a good servant. He will do for you everything you ask, but you have to tell him what you need”. In other words, without clear understanding of your plant needs and precise definition of the systems, a grower will never reach the desired results only by having an intelligence greenhouse. The obvious conclusion is that greenhouse operator must to have Growing Management, Plant Management and Environment Management capabilities. Recently, Azrom Company has developed a unique interface for a closer watch after the crop enhancement. Azrom launch this new module under the title of Remote Consultation Center (RCC). With this new approach Azrom brings the phrase “greenhouse turnkey project” to a new level. Azrom RCC interface is a management tool that provide to the greenhouse operator 24/7 growing management solutions. 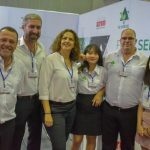 Yuval Gerzon, Manager at Azrom China explains: ” along the years that we are active in China we found that the missing link between high quality greenhouse to the desirable results is to find the way to bring the knowhow in the most effective way with minimized the expenditure of the farm. With this perception, the idea of RCC has born”. An actual presence of Azrom agronomists in the critical stages of the growing stages give a few days of training to the local managers and helps to the greenhouse operator to stabilize the systems and set it on the right course. Then after the control of the greenhouse gradually shift to the local greenhouse operator hands, the CRR mode start to be active. On daily based, Azrom professional agronomical department get online by a remote mode the data from the greenhouse control systems regarding climate, nutrition and plant situation. Once a day the agronomist contacts with the grower from a distance and based on the information from the system and from the operator helping to take the right operation decisions. The Agronomist can also implement and operate all the greenhouse by remote control but of course the target is to let the local operator to do it and gain success scored. Everything described above, helps to reduce the possibilities for mistakes and obtaining better results. 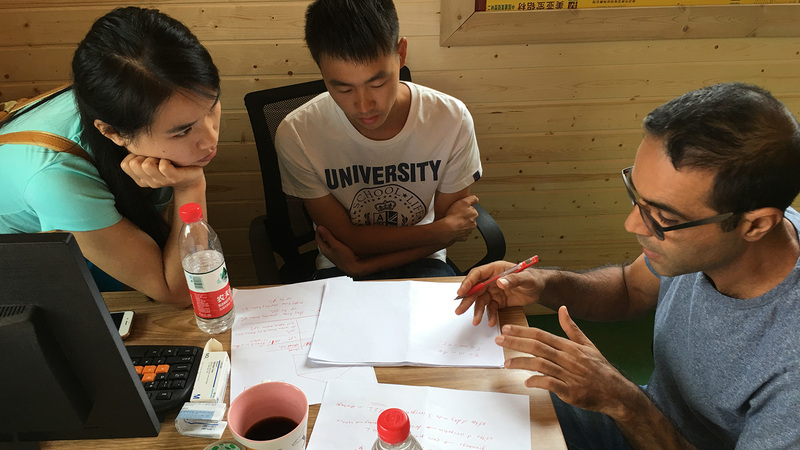 An example for such a project led by the RCC approach, is Azrom project in Zunyi, which submitted to the grower in 2016. Azrom supply state-of-the-art greenhouse with irrigation, fertilization, artificial light and climate control systems. During the first season, we introduced to the local operator’s new varieties of tomato, bell pepper, cucumber, melon and watermelon. By implementing the RCC, we succeeded to keep the temperature and the humidity in appropriate levels for the best cost-effective performance of the plants. Furthermore, by controlling and provide the appropriate nutrition to the plant we managed, together with the local staff to grow and gain excellent results. The highlight of the fall season was the ability to pick watermelons in late November, thanks to the artificial light system. It’s important to mention that the local operators weren’t experienced at all. It was their first time to operate a greenhouse and grow vegetables, although the results were much above the expectation. “A continuous flow of data into the RCC, brings to a closer understanding of the plant’s needs. The ability of the RCC to zoom in, handle with even the smallest details and implement the changes need, is what making the difference between failure and success”, Dr. Drori add. 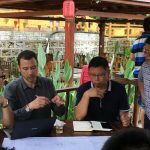 “The capability of controlling the farm computer from a distance, watching all the greenhouse climate and plant nutrition charts, getting and sending data through an e-mail or WeChat, is bringing us a precise picture of the scene in the greenhouse, almost as we were there. All that, to continue and give our clients the best professional service that we can. Our concept is not only supply the state of the art intelligence greenhouse and leave, but also give to our client the state of the art management tool which is the key for success”, Gerzon summarized.